The Nissan Patrol 3 Litre ZD30 engine can have a few modifications to make it more reliable and avoid the dreaded ‘grenade’. 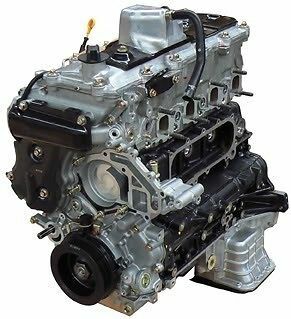 This thread is not here to debate the reliability of the engine, or compare it to the 4.2 or petrol variants, its here as an easy to follow guide for anyone interested in doing the modifications. Any advice on this thread is just that – advice. 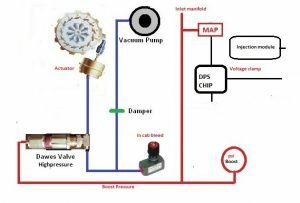 NADS or Nissan Anti Detonation System is a series of simple modifications that can be done to the ZD30 engine and exhaust to avoid the well documented issues with piston and engine damage. …. 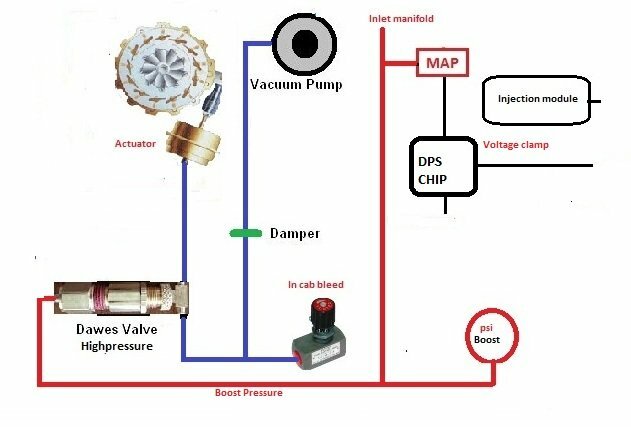 WHY SHOULD I INSTALL NADS? (Short version) There are 5 root causes for the ZD30 engine failures. 1. 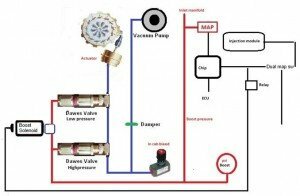 Exhaust Gas Reticulation Valve (EGR). This valve recycles inert (but very dirty) exhaust gas back into the inlet manifold in an effort to reduce emissions. 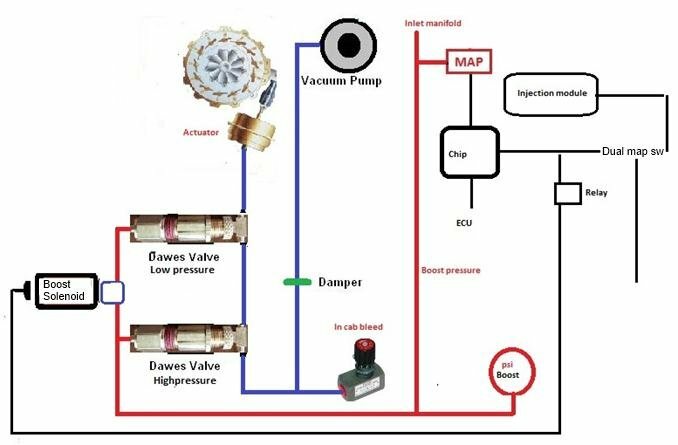 However the blank gunk deposited creates restrictions in the inlet manifold causing hot spots and starvation to mainly number 2 and 3 cylinders. See the install section for photos. 2. Oil Starvation. When the early engines came out, Nissan recommended that it only required 6 or so litres of oil. After a while they noticed many failures and “fixed” the problem by recalling the Patrols to shorten the dipstick. The correct amount of oil for the Di ZD30 is 8.3 Litres. 3. Overboosting. The ECU on the early GU patrols doesn’t control the boost very well. The GU patrol has a Garratt VNT (Variable Nozzle Turbo). The way this works is – the pitch of the blades of the turbo are changed to create more boost at lower exhaust pressure. Think about how a turbo prop planes engine works. At a constant rev range the power (or thrust) can be increased, decreased or even reversed by changing the pitch of the blades. Like a fan!. The ECU has a pretty big job on its hands trying to control boost at the best of times – different engine revs, different load, the EGR opening and closing (which increases boost in the inlet manifold, after the turbo that the ECU doesn’t know about). Nissan introduced an over-boost sensor to try and over come this. It basically measures the boost (in the intercooler) and if it stays over a certain psi (it seems different for many sampled patrols) if puts the car into limp mode. You will know if you have limp mode if you are driving along, and all of a sudden if feels like you have no power. If you release the accelerator and reapply, it resets. Very annoying! 4. High EGT (Exhaust Gas Temperature). The Diesel engine is made to work. Good torque at low revs so you dont have to rev its guts out to get power. Its one of the reasons it is so fuel efficient compared to petrol engines) as a lot of the power is required just to get your 3T car moving! Obviously for the engine to run you need fuel and air and the combination of these can determine the temperature of the exhaust. Over fuelling or under-boosting are common causes of high EGT. Why should i care about EGT? Well, at certain temperatures metals change characteristics They can get weaker (causing failure) or even melt! If your exhaust is glowing hot, think about how the pistons, cylinders, manifolds, oil and turbo are feeling! 5. Dirty or faulty MAF sensor. 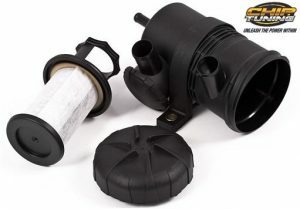 The MAF (Mass Airflow Sensor) is a small device located just after the air filter which measures the volume, speed and temperature of the incoming air. If the sensor is faulty, the ECU can over or under fuel the engine, causing high EGT and failure. A common issue with MAF sensors is that they get oil on them. This is caused by the Crank Case Ventilation hose feeding back into the air inlet, just after the air filter. If you have a look on top of your engine, you will see the pipe coming from the top most part of the engine, it goes to the air inlet next to the passenger side battery. Oil mist causes the MAF to give incorrect readings. Regularly cleaning your MAF sensor, and fitting a good quality catch can will certainly help. Its a simple thing that can be done relatively quickly. See the how to section for details. WHAT PARTS ARE NEEDED? WHERE DO I GET THEM? If you have read this far, you are probably keen to learn about what is included in “the mods” – Well here they are! 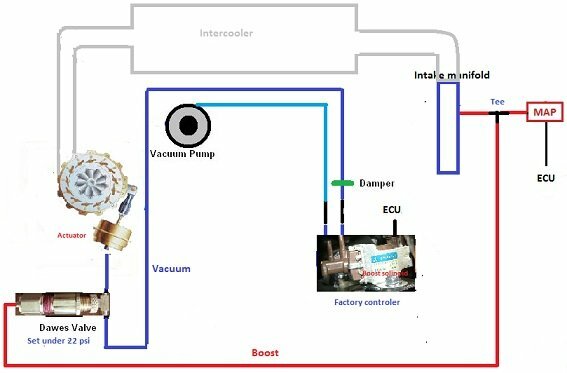 What – Boost Gauge Why – Monitor what your turbo is doing. Easy to install, do it first. Where- Get a good boost gauge. It is the foundation of knowing what your engine is doing. eBay, or your local auto parts shop. Don’t get the el cheapo one – you will find yourself replacing it soon enough. Best is an oil filled type. The thick clear oil slows down any needle fluctuations. 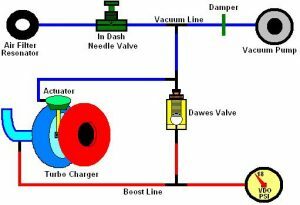 You don’t need one that goes into vacuum … just positive pressure. ie boost. 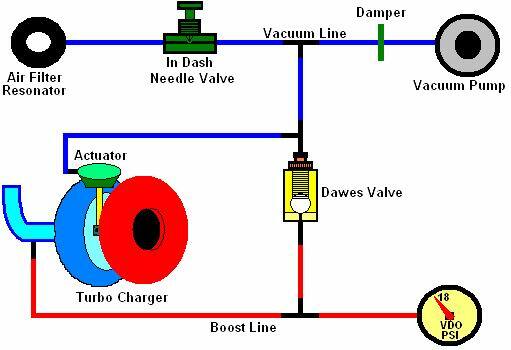 Why – A needle valve controls the spool up rate of the turbo once we take away the ECU’s control. 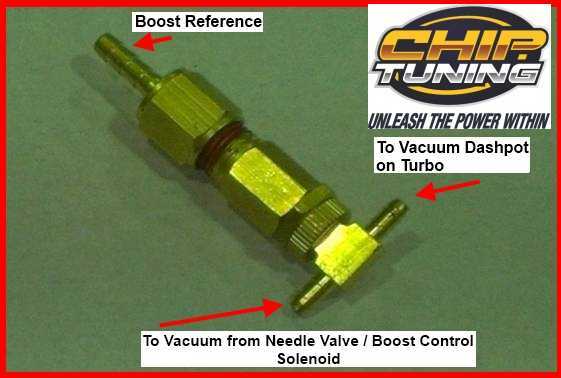 “Spool Up” is the rate of increase of boost from the turbo. Too fast and you might get limp mode, too slow and you will lose power and have high EGT Where – Chip Tuning Online Store. 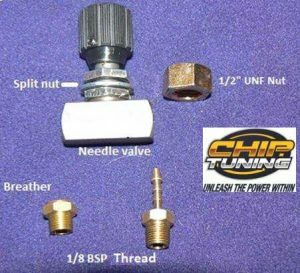 Why – The standard Nissan intercooler has crimped ends. They will leak over time, its a common problem.. If this is happening to yours, you may notice black stains on the fins near the ends, or an unexplained loss of boost. Neither are good for your engine Where – .We supply these. See our online store. These come with all new pipes in the full fitting kit. …. So you have decided to go for it! Congratulations! It might seem daunting at first, but if we break it into chunks and take the time to learn what we are doing and why, it will make it a great learning experience. Here is the order of how I would go about it… In the next post ill start to describe, in plain english with photos, how to eat this elephant! 1. Fit Boost Gauge. 2. Fit EGT Gauge 3. Fit Catch Can 4. Fit boost control In between each step I encourage you to DRIVE THE CAR and observe how each change makes a difference, more on that to follow.. Reproduced in whole or in part from the various on-line forums. Many thanks to patrol4x4, dronus4x4, Chaz for this info. 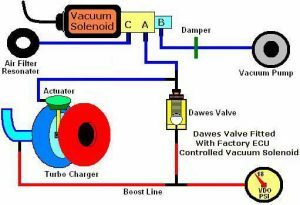 NB: Bypassing the EOM electronic over vacuum boost solenoid altogether will be way over most people’s requirements. 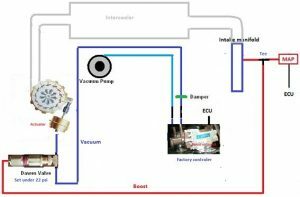 In any case, we have found bypassing the solenoid dramatically reduces the EGT’s with the EGR blanked. 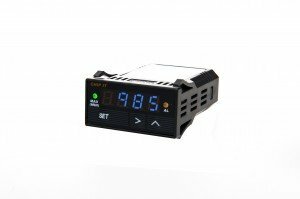 With the manufacturer’s efforts to increase EGR flow, the factory ECU reduces fresh intake air by reducing boost under light load. An all too often seen problem is noticeable in 2.5 Tritons, 2007+ Nissan Patrol and D40 Navaraa well as other modern diesel engines. Fig 1 shows the Chip Tuning Dawes Type Valve backing up the OEM ECU Electronic over Vacuum Boost Solenoid to eliminate boost spikes or turbo over-shoot. 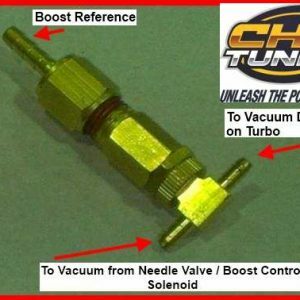 Dual boost curve set up for extreme tuners. 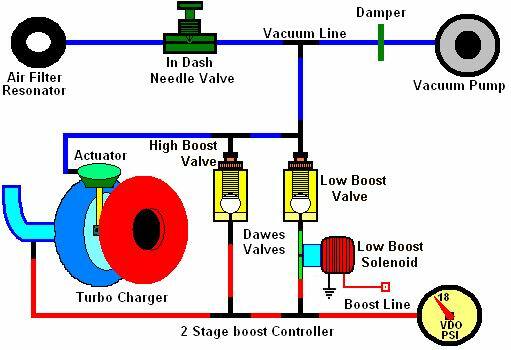 Fig 3 shows the Chip Tuning Dual Dawes Type Valves, one set at lower boost and isolated by a boost solenoid triggered via a switch, chip channel or dual map switch.